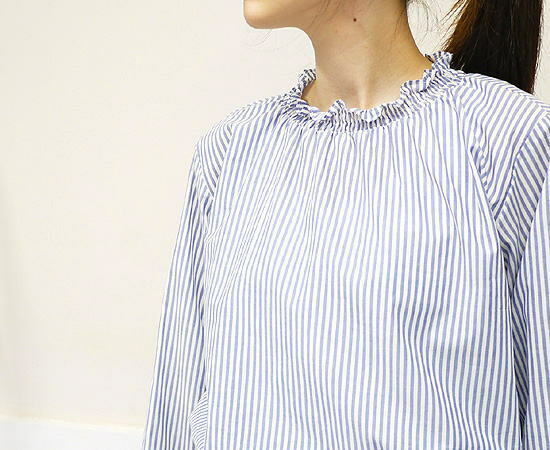 I use cotton loan stripe material of the natural texture. 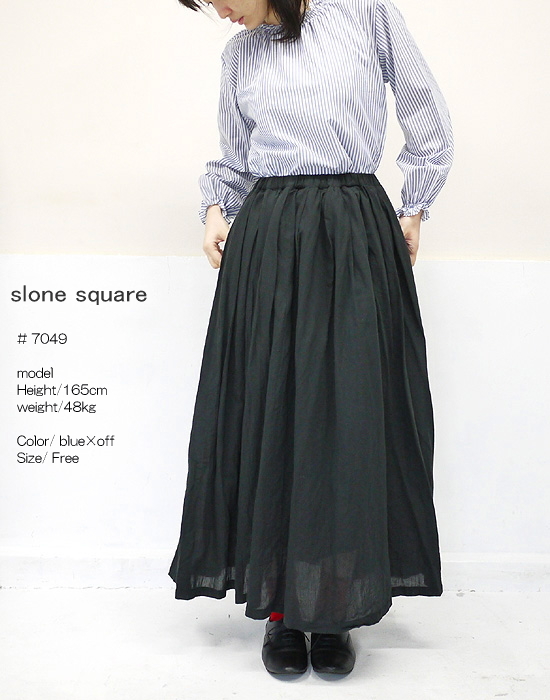 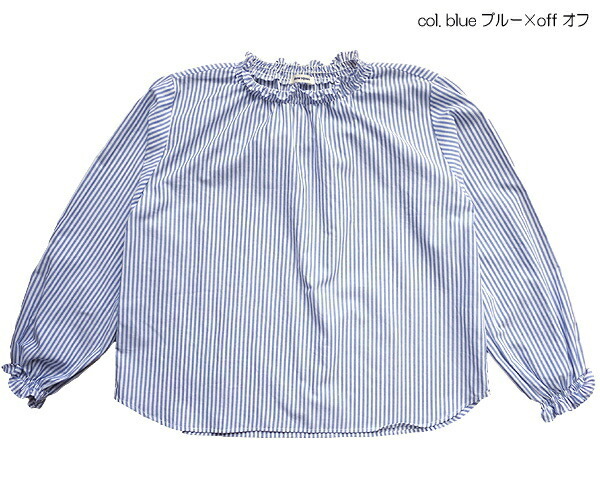 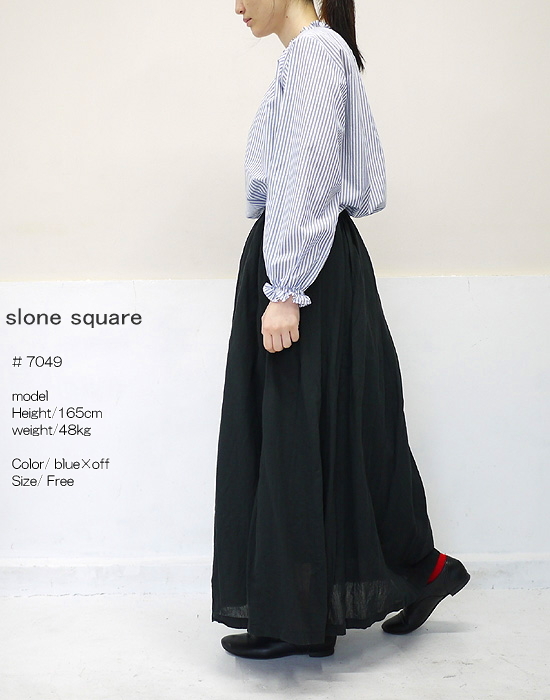 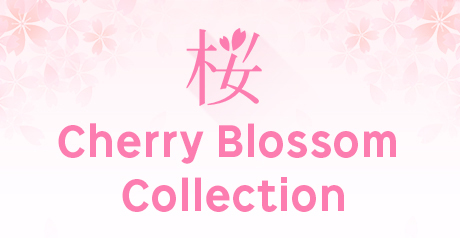 ■A pullover blouse latest than refined material and スロンスクエア of the refined simple design arrived. 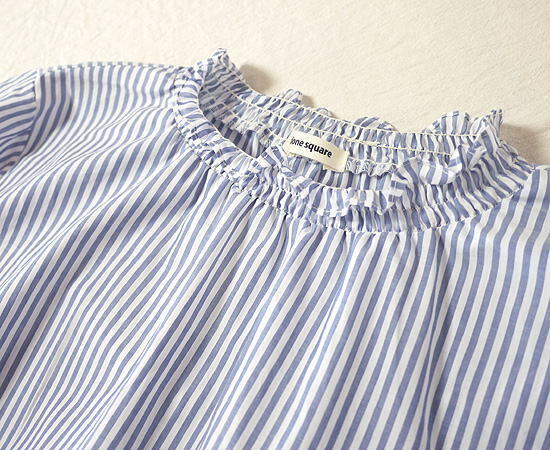 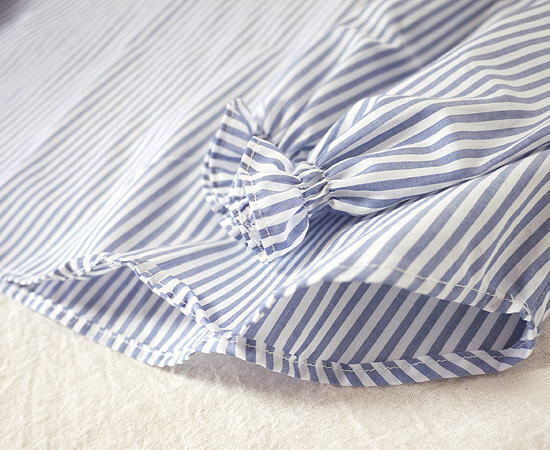 ■I use cotton loan stripe material of the natural texture. 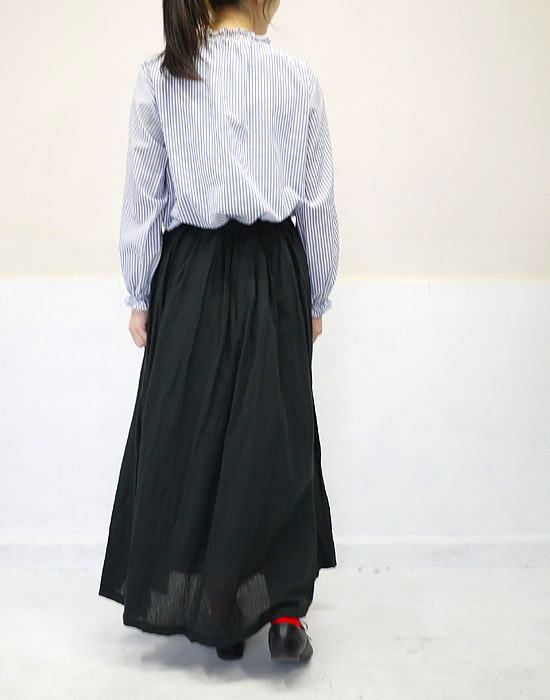 It is the comfort that is very easy in the comfortable feel. ■In a soft atmosphere that moderate difference and the frill of the neckband can show me slightly and go to adult Kaai.